The 10 Best Garden Centers and Nurseries in Delaware! Though Delaware may only have three counties, there are plenty of garden centers to help customers design and purchase plants for their gardening dreams. Whether you are looking to build a self-sustaining organic vegetable garden, or want to create a luxurious oasis in the backyard, there are more than enough options for finding the right plants, trees and shrubs to make your “green” dreams come true. Here are the 10 best garden centers and nurseries in the state. Voted “Best of Delaware” for Revolutionary Garden Centers, the East Coast Garden Center is the largest nursery and gardening supply center in Delaware. Featuring the Delmarva Potting Shed show on Delaware’s 105.9 FM, you can learn and grow with the staff of East Coast Garden Center. As part of the Delaware Nursery Landscape Association, the East Coast Garden Center won for the “resident category in Best Large Landscape” for three years, and continues to provide superior service to its customers. If you are looking for native plants of the area, look no further. Gateway Garden Center in Hockessin is a family-owned business that strives to provide the best plants to its customers. Gateway Garden Center also hosts events and workshops, consulting, theme garden planning, container gardens, and even has a special plant search feature on their website. You can choose different plants that you would like to purchase from their website, print out the list, then bring it with you to the center for the staff to assist you with selecting. Check out the Garden Tips page on their website for useful information for gardening throughout the year. 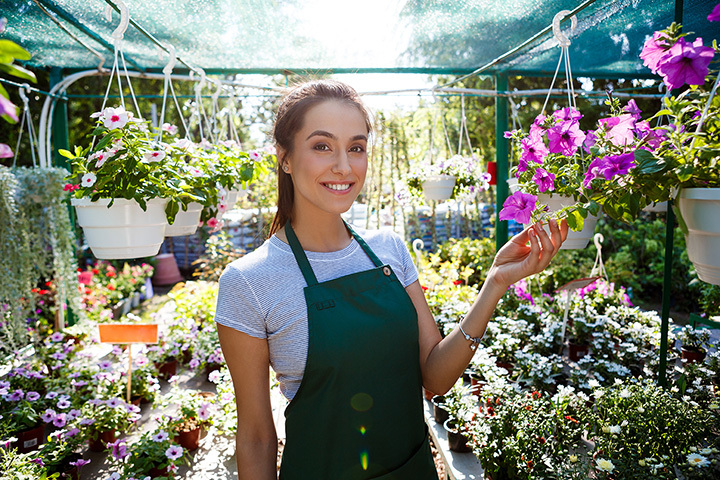 In business for over 30 years, Leon’s Garden World is one of the largest distributors in the tri-state area for high-quality plants, gardening supplies, trees, bushes, shrubs and more. Offering landscaping services, customers such as Sophia Lorren and Barry Levinson have spoken highly about the design services of Leon’s Garden World and high recommends them. If you require gardening assistance for a small or mass project, Leon’s Garden World can help with all projects of any size. They can even stock your own nursery, transform your blank canvas backyard into a lush paradise, or create the serene design that you have created yourself. Voted “Best Garden Center” by Delaware Today four times, Richardson’s Floral Center is where the locals go for their flowers and gardening needs all year through. They even allow you to bring your fur-kids for photos during their autumn season! Make sure to call first though and make sure no events would be taking place that would interfere with your four-legged friends having a good time. Open every day, they offer seasonal flowers and decorations. It is almost difficult to write about how fantastic Ronny’s Garden World is, but not impossible. From trees and perennials to annuals and edible gardening, Ronny’s has everything you need to transform your land into your dream garden(s). Ronny’s also boasts one of the largest Christmas displays (indoor and out) in Delaware. They take off an entire month to create this Christmas wonderland for its customers, and the wait is well worth it. They carry every type of real tree and false tree, decorations, the latest in Christmas lights, and more Christmas spirit that one can handle. They also house an indoor train display that children enjoy while listening to Christmas carols. Owned and operated by couple Jim and Patti Piovoso for over 35 years, the Rosehill Plantery expanded its garden center this year to include a wider range of vegetables in light of customer’s interests in reducing the amount of marketed retail food and moving to self-sustaining vegetable gardening. Their nursery includes over 50 varieties of tomatoes, over half of which are heirlooms. They offer mums for the fall, poinsettias in the winter, flowers of every variety in the spring, and hardy plants for the summer heat. If you aren’t sure of what will work for your property, their staff can help you pick the best plants for you. If anyone has driven to the Delaware beaches, they have most likely seen this colorful garden center on the southbound side of Coastal Highway driving to Rehoboth Beach and beyond. Farmer Girl Exotic Gardens & Exotic Bird Shop in Rehoboth is a seasonal gardening center that is open for the majority of the year (usually closed between January to the end of February). This center is truly unique as it not only offers beautiful plants, fresh Southern Delaware produce, top of the line lawn statues, and century old fish, but step in further and find exotic birds to chat with such as African Greys, Conyers, McCaws and more. The Farmer Girl herself is Mary Rash, the daughter of a local farmer who took her father’s business minded drive and created Farmer Girl after building two successful Delaware farmers markets. Willey Farms is another unique garden center. It combines both the love of a farmer’s market, with a kitschy country gift shop, and a well-stocked garden center filled with both produce plants and flowers, trees and shrubs. Willey’s is also known for their large supply of organic foods, all natural products, and the latest in healthy living. If you are looking for Acai Bowl mixes, coconut milk, all natural protein shakes that you can mix daily (that taste delicious), this is where you need to shop. Stop by during the autumn and winter seasons for beautiful mums, pumpkins, and corn stalks, or Christmas trees, wreaths, and decorations for your home. Old Country Gardens is one of the most beautiful garden centers in Delaware. Step into a luscious garden center’s nursery and barn where you will be inspired to create your own imaginative hidden oasis. You are welcome to communicate with them on their website before even hopping in the car to find out what plants or trees they have in stock, their response time is fast! Old Country Gardens is all ready for the fall season and they even have a Christmas shop that is open year-round. Come and enjoy this beautiful facility located near the intersection of Foulk and Wilson Roads. Mid-County has the latest in mulch, soil, and stone to brighten up your landscaping. From different colors and materials, bagged or bulk, they can even help you with the fill for your playground (or playset in the backyard). The garden center carries annuals & perennials, trees & shrubs, pots & statues, and fruit & vegetable plants. If you don’t have the ability to plant all of your new plants, let Mid-County do the work for you with their full installation packages. They also have their own on-site florist that can design arrangements for all occasions like weddings, funerals, proms, birthdays and anniversaries.